In an age when advanced molecular and genetic tools allow studies in various systems, amphibian metamorphosis still offers perhaps the most accessible model for the study of postembryonic organogenesis and mechanisms of hormonal regulation during vertebrate development. 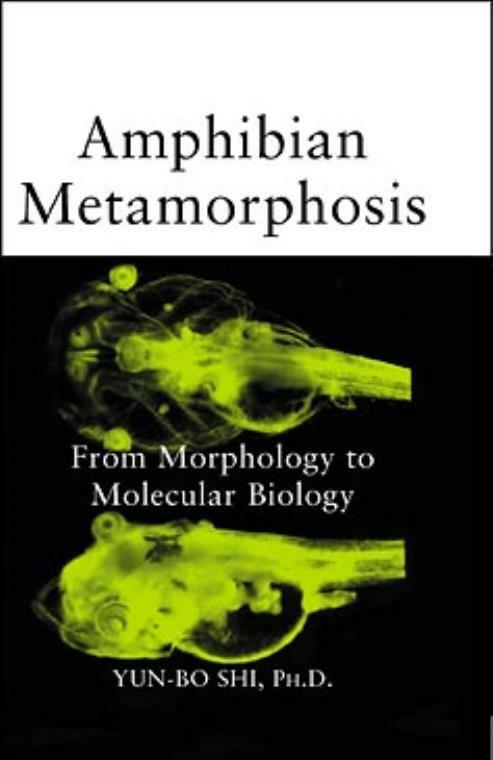 Amphibian Metamorphosis: From Morphology to Molecular Biology integrates findings from the most recent research with earlier observations, providing molecular and mechanistic insights into the signal transduction pathways underlying tissue–specific transformations during metamorphosis. The author, renowned expert of anuran metamorphosis and Head of the Unit of Molecular Morphogenesis at NICHD/NIH, begins with an overview of metamorphosis in different classes of amphibians and various factors that influence this process. A review of earlier morphological, cellular, and biochemical changes focuses on organs and tissues that have been studied extensively at the molecular level, while discussion of the thyroid hormone signal transduction pathway emphasizes transcriptional regulation mechanisms by thyroid receptors. The book provides a summary and comparison of gene regulation programs induced by thyroid hormone in several organs that undergo distinct metamorphic transformations. Several chapters are devoted to functional and mechanistic implications of the molecular findings on the thyroid hormone response genes in tissue transformation. Amphibian Metamorphosis: From Morphology to Molecular Biology is a unique and invaluable resource for professionals and aspiring professionals in develop–mental biology, molecular biology, cell biology, evolutionary biology, and endocrinology. An Overview of Amphibian Metamorphosis. Morphological Changes During Anuran Metamorphosis. Mechanism of Thyroid Hormone Action. Gene Regulation by Thyroid Hormone. Functional Implication of Thyroid Hormone Response Genes: Transcription Factors in the Thyroid Hormone Signal Transduction Cascade. Competence and Tissue–specific Temporal Regulation of Amphibian Metamorphosis. Thyroid Hormone Regulation and Functional Implication of Cell–Cell and Cell–Extracellular Matrix Interactions during Tissue Remodeling. Model Systems and Approaches to Study the Molecular Mechanisms of Amphibian Metamorphosis. Roles of Thyroid Hormone and Its Receptors in Mammalian Development and Human Diseases.